Android users can get six months of Antivirus and Web Protection on their mobile devices, absolutely free from Bitdefender — exclusively through Download.com. Good news, fellow Downloaders! Christmas is coming a little early this year thanks to the good folks over at Bitdefender. For one week only, the popular AV is giving away free licenses of their Mobile Security & Antivirus (Android) app to the first 1 million users. 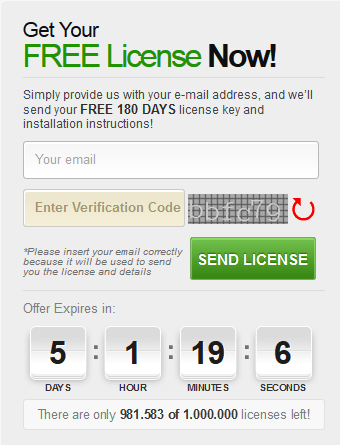 Get 180 days-worth of protection on any of your mobile devices, absolutely free. Malware Scanner — Independently tested to detect 100 percent of the bad stuff. On-demand Scanning — An on-demand scan may be run at any time to make sure that all the applications installed on your device are legitimate and all applications installed or kept in the phone’s storage are legitimate and safe. 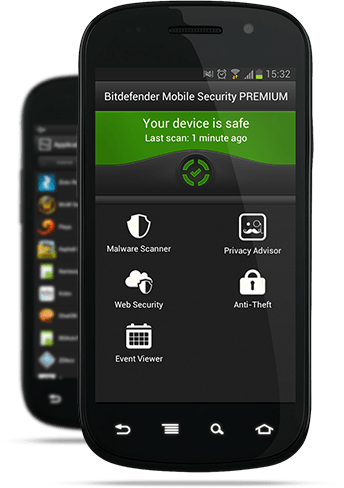 On-Install Scanning — Bitdefender Mobile Security will make sure that your Android device stays clean by automatically scanning any application immediately after its install. This also helps users stay informed and protected whenever they try a new application. Bitdefender Anti-theft — Bitdefender Mobile Security has a new Anti-theft, with Web dashboard and SMS commands. The Anti-Theft module provides options to remotely locate, lock, wipe or send a message to your Android device. Privacy Advisor — Curious to see how installed apps use, and possibly abuse, your personal information and treat your PRIVACY? The Privacy Advisor is capable of giving you detailed info as to what your installed apps are doing in the background without your knowledge. Web Security — Bitdefender Mobile Security for Android uses the Bitdefender Cloud services to alert you, when browsing, about webpages that contain malware, phishing or fraudulent content. Full Speed & Low Battery — Thanks to its Cloud-based threat detection and top-of-the-line security services, Bitdefender Mobile Security for Android secures your browsing experience and prevents installation of malicious applications with virtually no battery life impact. Sign up on the giveaway page using your e-mail. Follow the instructions to enter in the key from the email and you’re all set!